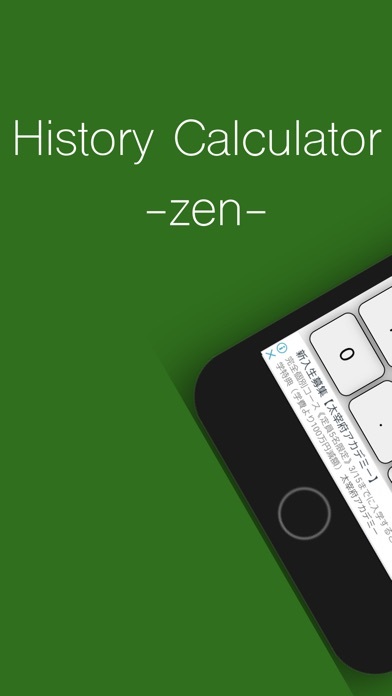 History calculator -zen- is a revolutionary easy-to-use calculator. ■ You can see the formula. You can see the expression you are editing. Calculate by pressing "=". ■ Calculate according to operator priority. Calculate first in parentheses. Multiplication / division is priority to addition / subtraction. ■ Calculation history can be edit. 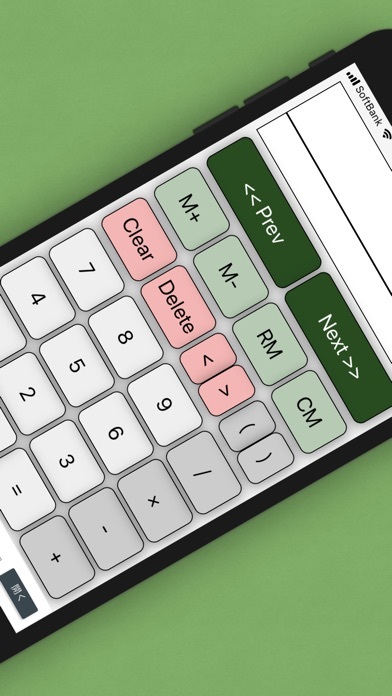 You can recalculate past calculation contents. 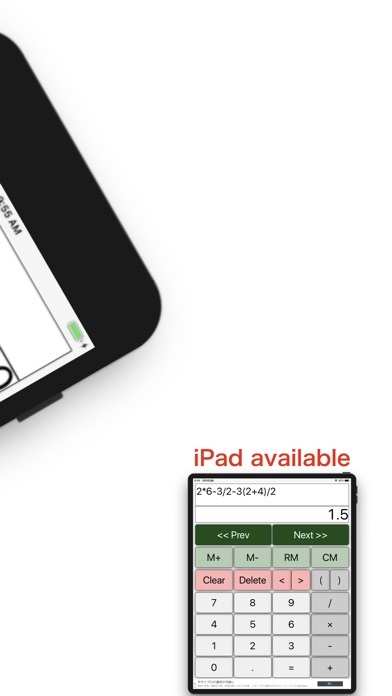 Use the ARROW button to move the cursor, delete numbers at the cursor position, and insert numbers and symbols. ■ Advertisement is displayed. ■Disclaimer Although I am making every effort to make the calculation results done with this App, I do not guarantee its accuracy. Please understand that I will not assume any responsibility for damage, loss, disadvantage, etc. caused in using this App.